Carnitine 1500 is a Complete “ALCAR” Acetyl L-Carnitine Supplement. This science-researched amino is great for muscle recovery, brain health, and assisting in fat burning or weight loss goals. 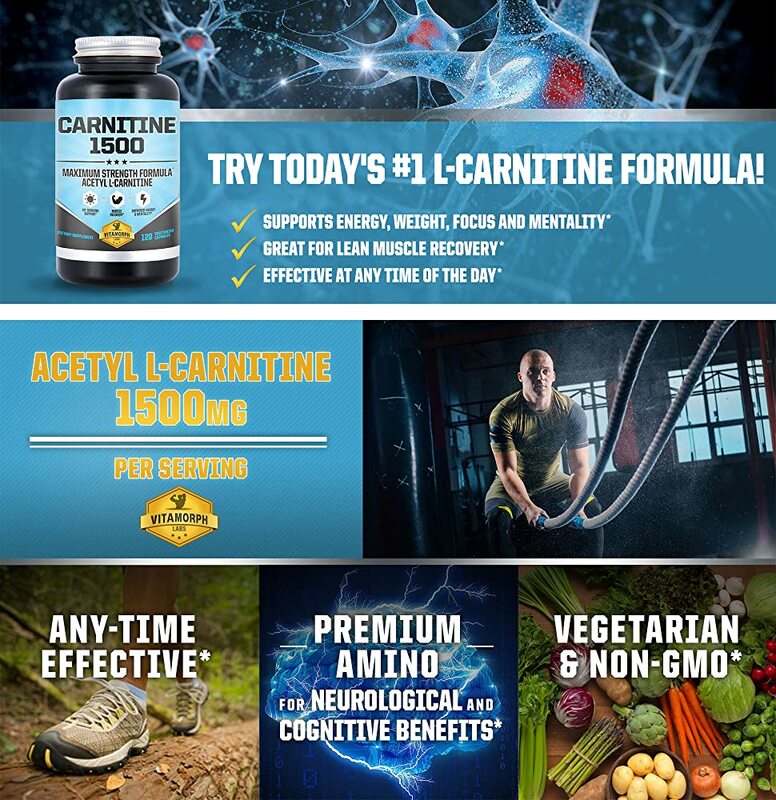 Carnitine 1500 is 1500mg of acetyl l-carnitine per serving, 750mg per vegetarian capsule, and 120 vegetarian capsules per bottle. Our recommendation is 3000mg acetyl l-carnitine daily for maximum l-carnitine effectiveness. Acetyl l-carnitine can be taken at any time of the day to be effective. L-Carnitine tartrate & other forms are best with meals. Acetyl l-carnitine crosses the blood brain barrier for better absorption unlike tartrate or other l-carnitine forms. Carnitine 1500 is stimulant-free for both men & women. This product is trusted by thousands of people all around the world and is Made in the USA!